Ever wonder why so many citrus trees around town look yellow, tired, and sad? Sure, part of this is due to the drought, but mostly it’s because they are not cared for properly. Oftentimes the trees are grown in a garden or lawn where they endure shallow and frequent irrigation. Other times they are forgotten and only occasionally watered. Although citrus trees are vulnerable to some diseases and insect pests, they are less prone to them if their basic cultural needs are met. I don’t mean take them to the opera or a museum ​— ​I’m talking about giving them the food and water they need and watching out for bugs. Fertilizer: In order to promote a heavy bloom, I begin feeding an organic fertilizer like Island Seed & Feed’s landscape mix around late winter. I try to take advantage of our rains and give them their first meal at that time to ensure that the food gets washed down to the roots. Feeding should continue until late summer. How much and how often depends on the type of food, how often you water, and what method of irrigation you use. Mulch: To keep the soil moist and cool, I maintain a thick blanket of mulch or compost under my citrus trees. It’s important to keep their trunks dry, though, by regularly pulling away the mulch and soil that banks up against them. 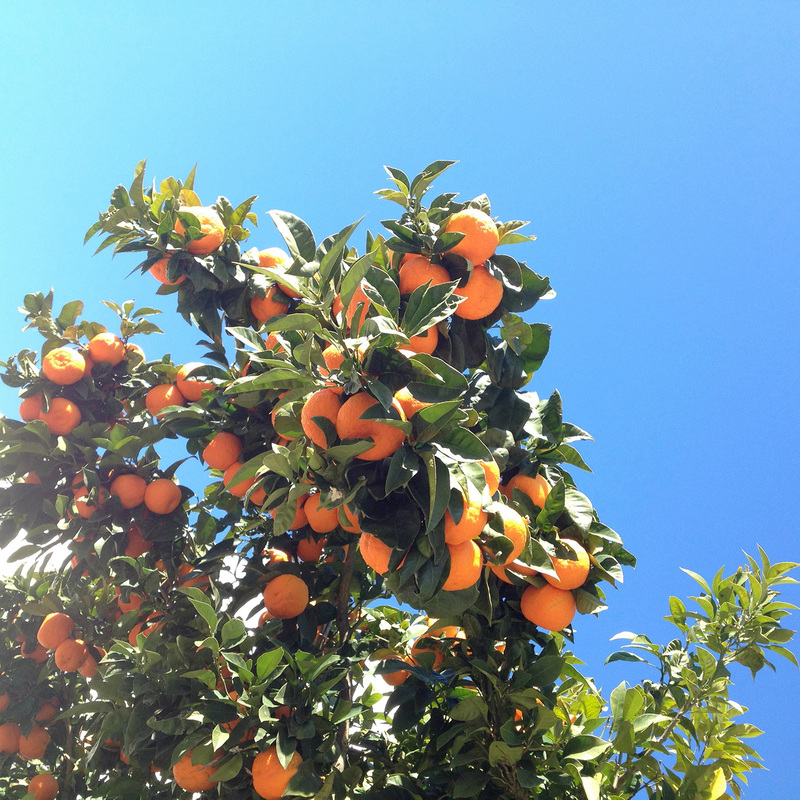 Pests: Even under the best circumstances citrus trees may get some insect pests. Aphids, mealy bugs, and scale can be treated with horticultural or neem oil. For the extremely persistent citrus leaf miner, the pest-control advisor at Agri-Turf Supplies, Robert Muraoka, recommends spraying a product containing spinosad every six weeks. Mixing spinosad with oil will keep all pests in check. Muraoka warns that an oil product must not be used when temperatures will approach or exceed 85 degrees. Oh, and one more thing: Before applying oil, be sure your trees are thoroughly watered or leaf drop, or worse, can occur. Water: The best way to determine when to water your citrus is to use a soil probe. Once you do this a few times, you will get an idea of how often and for how long to water. Citrus, like most trees, need an occasional, deep soaking. That means water them before their roots dry out but not while soil is still wet or soggy. Let’s review. Do not water three times a week for five minutes. Do water when soil approaches dryness. Do not water if it’s soppin’ ​— ​if you do, fruit will be droppin’. Do not let them get too dry ​— ​if you do, they’ll surely die.